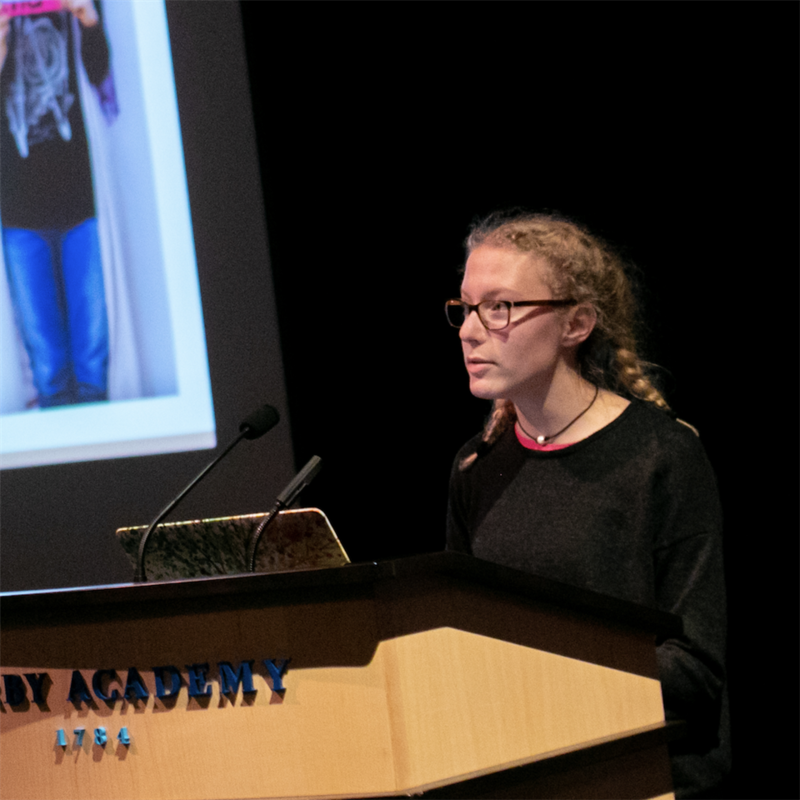 Grade 8 history students hosted and performed a “Global Story Slam” in Larson Hall on January 31, the culmination of a story-sharing program with students from across the globe. Partnering with three different schools, Derby students and their global peers wrote, read, and critiqued each other’s stories as part of Global Nomads’ Campfire program, a project focusing on the exchange of stories with youth around the world to gain insight into each other’s lives and experiences. Having exchanged stories with students from Madison Central High School in Kentucky, Akrabah High School in Irbid, Jordan, and Sidi ELaan Alidrisi School in La’yoon, Morocco, Derby students performed a public reading or a video presentation that depicted their own personal stories or those of their peers, highlighting the commonalities and differences of their experiences. Stories ranged from the lessons learned while losing a pet, how an 8,000 mile move to India from the US changed a student’s understanding of the world, to overcoming the obstacle of poor eyesight to play lacrosse well. Through it all, students conveyed sadness, hope, humor, tenacity, and a wide range of creative methods to share their messages. With their projects on display in the Brown Art Gallery, the evening was filled with delicious Moroccan and Jordanian food to sample, as well the opportunity for students to share meaningful lessons with their families, faculty, and classmates.